2 twins & 1 double bedroom. Swimming Pool 7m x 4m 1.0m-2.2m. This villa boasts a splendid location just six hundred metres from the charming little Lourenço beach, with its popular, beachside restaurant. The magnificent ribbon of soft sands between Galé and Armação de Pera lies within eight hundred metres, whilst the village of Guia and its famous chicken piri-piri restaurants is five kilometres away, with the Algarve Shopping Mall two kilometres further on. The Villa has a comfortably furnished, south-facing lounge with gorgeous ocean views through the glass doors that lead onto a small sun terrace with a barbecue next to the swimming pool. A dining area also opens onto the poolside terrace and there is a modern kitchen. The villa consists of 3 bedrooms. A ground floor double bedroom has an en suite bathroom and views of the front garden and there are two twin bedrooms upstairs. One of these has a walk-in wardrobe, an en suite bathroom and a balcony with side sea views and the other enjoys similar views and has a separate bathroom. Two of the bathrooms are ensuite, the other is right outside the second room. We stayed here along with our family this summer. We loved the villa, for the location (so close to Galé beach - 10mins walk) it’s good value! Air con in all rooms was a definite plus and the pool was lovely. Minor niggles for us were the lack of kitchen utensils - we had to buy cloths and kitchen scissors while we were there for instance, and no wi-fi - for a family that includes youngsters this might cause a problem! A DVD player would also be great for families - we managed to borrow one from a local friend! We never managed to get more than 5 Portuguese channels on the TV either - again not a major problem and we learned some Portuguese watching the news! Beds were super comfy and lots of storage space and Maria the cleaner was so nice and friendly! The pool was also maintained regularly while we we’re there which was great as it got a lot of use and was also rather windy so full of leaves most mornings! We all really enjoyed our stay and the location is fantastic- we would def recommend! The house and location were just as described. The house is situated at the end of a road which has minimal traffic and is quiet. The house is south facing and has the sun on the pool/terrace for the majority of the day (9am - 6pm). Maria, the house manager met us on arrival. She was friendly and helpful and only 5 minutes away should she be needed. The house was clean, nicely decorated and big enough for our large family. The downstairs bedroom/bathroom was suitable for parents who were staying with us. Air conditioning throughout was a welcome relief from the high temperatures outside. The pool is a great size - just right for our three young children. The house is located approx. 10 minutes from the beach and a further short walk takes you to other nearby beaches, coves and bays along this part of the coast. The bus stop is a two minute walk from the house and we caught the bus into Albufeira (2.30 Euro) which was easy to do. There are a number of bars and restaurants in Gale and the supermarket is a ten minute walk from the house. The beaches have bars and restaurants on/nearby, although these are pricey, but perfect on an evening to watch the sun set. Overall, a 5 star holiday from the booking process and contact with the owner to the actual stay. Would definitely recommend. The villa itself was spotlessly clean and very well presented. Maria made us very welcome on our arrival and was very helpful. The weather was very hot and the downstairs aircon worked very well and was much needed. Been just the 2 of us we used the downstairs bedroom only - did not see aircon in upstairs rooms !! It is a 10 minutes walk to the Apolonia supermarket (be aware it is very expensive even for the basics) There are cheaper supermarkets within a short drive. Overall very pleased with our experience in the villa. We regularly stay in villas on holiday and I would rate this one very highly. Beautiful villa and so well maintained. We had everything we needed and then some. Plenty of pots and pans etc that were of good quality. The bed linen was absolutely pristine white and again of excellent quality, the beds were really comfy too. Maria the villa manager was just lovely, so pleasant and very helpful. Would highly recommend this villa. The house was so inviting. It had everything you need for a wonderful vacation. The manager was cheerfully helpful .Always just a phone call away. The setting was quiet but near to the action. I suggest renting a car. This enables you to take numerous day trips within 2 hours or less. Just want to relax, no problem. The backyard has everything you need.It was a short drive to one of the nicest beaches in the area.Three restaurants, chair, umbrella and water sport rentals. Eating out.plenty choices.Prefer to eat in, fully equipped kitchen. Even though there is a Apolonia supermarket close which had wonderful gourmet foods. Do yourself a favor and shop in Aldi or Lidls in Albufiera for the basics, much less expensive. do not hesistate to buy a bag of oranges along the roadway. Fresh sqeezed orange juice every morning delicious screwdrivers every evening. We loved our stay in this beautiful villa and hope to someday visit again. To the west of Albufeira is the Valley of the Grapevines, or Vale de Parra. 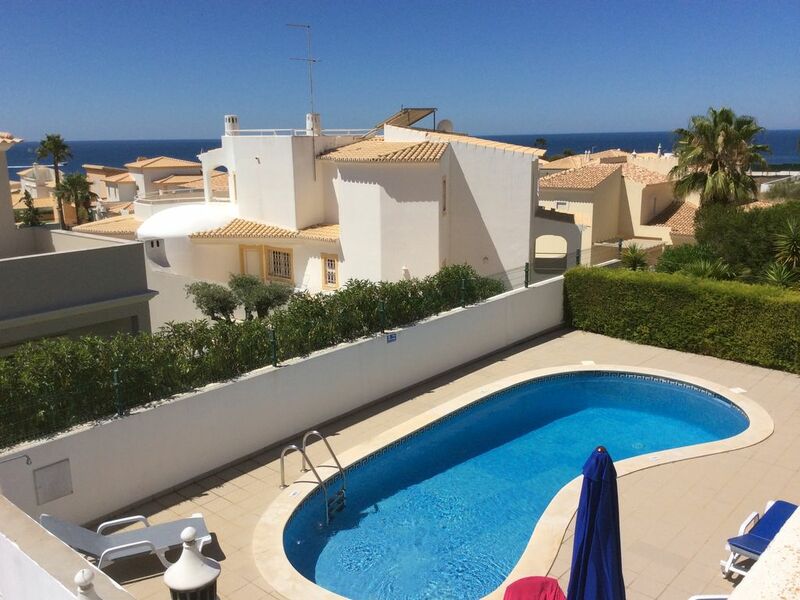 Villas and apartments here offer the tranquillity of an area with low hills, fertile plains and wonderful beaches from intimate coves to the glorious sandy expanse of Praia da Gale. Guia is a delightful little village with narrow cobbled streets, traditional cottages and a famous selection of chicken piri-piri restaurants. All offers will be considered, so please don't hesitate to contact us, if you are interested in the property!